Strike Twelve is every bar owner/patron’s dream – a beer-drinking, song-playing, hilarious, energetic party on stage. It’s hard to say exactly what to expect from a show, but having “Strike Twelve” in the lineup means you’re in for a fun night. Now, over 10 years and 150 shows later, they’ve beefed things up with the addition of Joey’s younger brother Andy on second guitar. They’ve shared the stage with many of the acts that inspired them, including Strung Out, Propagandhi, Reel Big Fish, Authority Zero, Death By Stereo and Voodoo Glow Skulls. 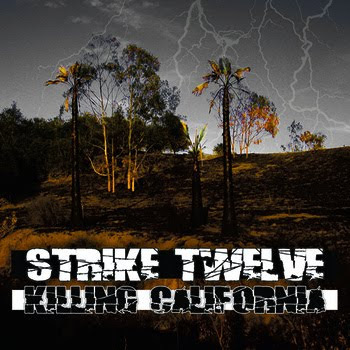 They signed to Felony Records for the release of their latest full-length album entitled “Killing California” which is available on iTunes, Interpunk.com, and at any of their shows. They are currently working on new material that should be released in the second half of 2011.